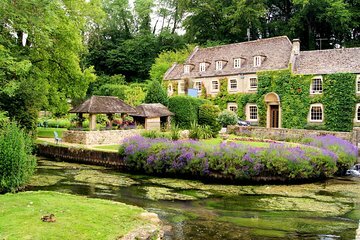 We signed up for the Lunch in the Cotswolds to spend a day outside of London and get a feel for the English countryside. We expected to travel to a couple of villages and have lunch at a typically English Inn. What we received was an incredible 10 hour journey into the history, geography, geology, economics, language, and politics of the United Kingdom. It was an awesome experience!! Our tour guide effortlessly brings history, culture and geography together in such a way that a coach ride to ancient villages becomes a memorable experience of a lifetime. David put so many things into perspective during our ride together that by the time we left the coach, we felt enlightened with a thirst for more learning on our own, and it made touring sites in London much more enjoyable as we had historical perspective from the tour. From a pure logistics perspective, the tour was spot on. We made the reservation a few days out and arrived at the Victoria Coach station on time. The motor coach was comfortable with an expert driver and our outstanding tour guide. The bus departed London and traveled northwest into the Cotswolds where David explained where we were going, the roots of language and culture of the people who live there, and the geography and geology of the settlers of the Cotswolds. Passing the lush countryside, our guide pointed out the sheep which sparked a conversation on agriculture and the economics of the UK. As the terrain changed, we learned of the geology of the area and how it influenced the building material in the Cotswolds. 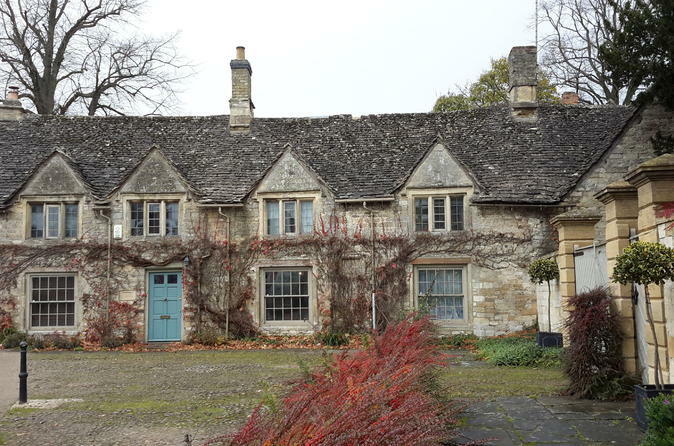 We made a quick comfort break enroute and then were off to a series of four picturesque villages in the Cotswolds and a delightful lunch at the Swan Inn. Throughout the journey, our guide provided context to each of the villages, the why behind what we were seeing and the historical understanding of the conflicts and politics of England over the past thousand years that shaped what we see today. David’s expert knowledge of the Royal families over time offered scope and depth to our travel. He offered potential locations for a cup of tea or a local delicacy at each village and then explained the menu options at our lunch at the “Swan” Inn. Our afternoon village tours were a great opportunity to walk off lunch before our evening return to London. Our simple day trip to the Cotswolds for lunch became a most memorable experience thanks to our tour guide David and Viator. We highly recommend this tour. Have been to the UK 3 times and finally had the opportunity to do this tour. Highly recommend it. Beautiful drive there and back and the quaint little towns are just fantastic. Lucy was an outstanding tour guide and is to be commended! I will forever remember this day and the information Lucy shared. Many thanks. tour guide was very nice and accommodating, he provided a lot of information on the tour, we had about 4 stops in different villages that had very beautiful landscapes, lunch was very good in very cozy Swan hotel, you can pick your lunch selection from fish, meat or vegetarian option. The Guide was personable, charming and informative. We appreciated his knowledge of the architecture and cultural perspective. Beautiful day, guide was very knowledgeable and well spoken. Just enough time everywhere. Be aware that you could hit traffic and not get back until after 7. A superb tour. Our tour guide, Julie was so knowledgeable about the area. We had tickets for a Play back in London that evening. The return trip is always difficult because of the traffic . Julie and our driver were very accommodating, and with their help we were able to make the start of the play on time. They went “above and beyond”. Great time. Director and driver were fun. Nice lunch. Easy way to travel. Lovely scenery. Would do it again. You're pretty much on your own at each stop, which some people will enjoy more than others. Frankly I was a bit disappointed in the four small towns...they were more commercial and less quaint than I was hoping for. But I am not sure that's the tour operator's fault.